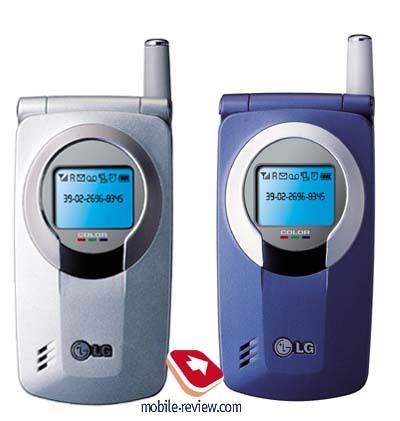 Just LG W5200 was put on the market as LG launched one more phone - LG W7000. 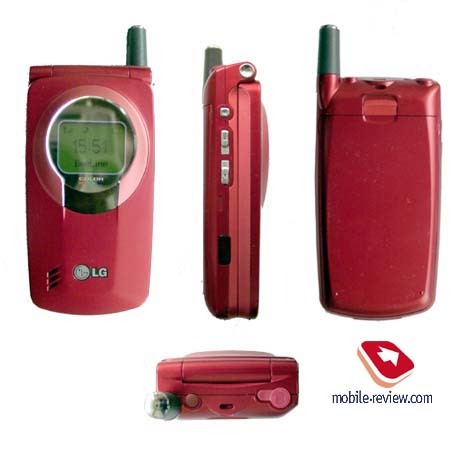 There is also a modification of this model - G7000, which has GPRS, the other features are the same. 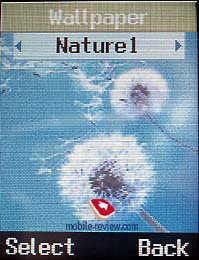 For the first time, mobile phone from LG is equipped by the colour display and has 40-tones polyphony. 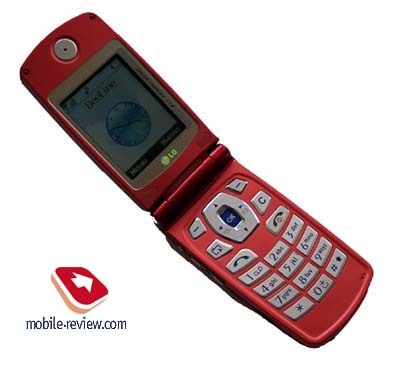 This folder type phone is notable by numbers of available colours (blue, red, silver). It has a traditional, classical for this kind of phones design: straight lines and slightly smoothing angles. The dimensions of the phone are 88x45x22.5 and the weight is 89g, what makes the phone a typical representative of its class. The phone is handy, the construction is very rigid, and it's almost impossible to turn back the top part of the handset from standard position. The rim of the external display is always of silver colour, a service indicator light is hidden under it. It has several colours of backlighting as usual (up to 7), you can select the one you like most of all. These colours can be associated to the caller groups from the phonebook. The external display is holographic, it has a green tint without the backlighting, an information is clearly visible. 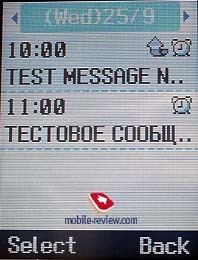 The screen contains several lines: icons, the local operator and time. 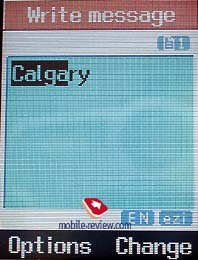 It displays a name or a phone number while incoming call. If the full record can't be displayed, it is scrolled automatically. The backlighting of the external display is dark-blue, it can be activated in the close mode if to press the side key (dictaphone key) within several seconds. You can also reject the call using this button. By the way, there are only two volume keys and IR-port on the left-hand side. If to look at the front cover again, one can see a loud speaker on the bottom. It is used to reproduce ringing tones of the phone, 40-tones polyphony is not a trifle, isn't it ?! A handsfree connector is placed on the upper side, it is included in the standard kit. A system connector is positioned on the bottom side. So, let's open the phone. Simultaneously we see an internal display which is switched on after a while. Probably, it was done so to save the battery power. 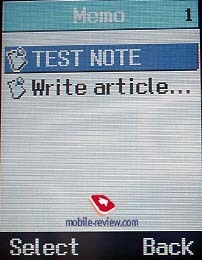 The display has a resolution of 128x60 pixels, what allows to show up to 6 lines of information (reading of SMS, only 5 lines are displayed while creating the messages), also a line of icons and tips to the soft-keys. 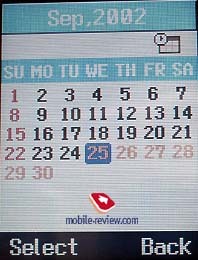 The display is made with STN technology and shows up to 256 colours. It's interesting that the image sharpness and the visual perception are better here than, for example, in SonyEricsson T68i, may be because of the screen dimensions. If to compare the picture quality of this model with the other phones, which can display 4096 colours and more, a colour rendering will be worse, and it's logical. But there is no discomfort for eyes. A great advantage of W7000 is good visibility in sunny weather. 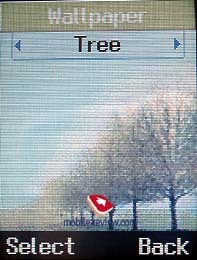 The weakest point in the phone is displaying of gradient pictures, moire appears in the gradient areas. 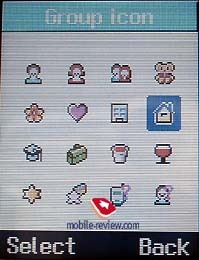 This peculiar feature resides to all the phones , which support 256 colours. In the whole the screen is very nice. Lower, there is a plastic keypad, the keys are rather big and raised a little bit. It's pleasing to work with the keypad. The backlighting of the keys is blue. The characters are large and they are highly visible not only in the darkness, but in all lighting conditions. 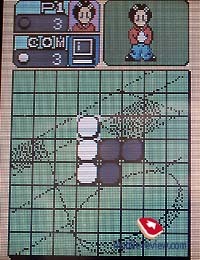 2 soft-keys and one 4-directional navigation key between them are placed straight under the screen. OK key is positioned "inside" the navigation key. It's rather convenient to use a navigation key, the main direction of moving is vertical and there is no need to change quickly horizontal and vertical arrow keys. The phone has a lithium-polymer battery of 820 mAh capacity. According to the manufacturers it can provide up to 4 hours of talk time and up to 200 hours of standby time. 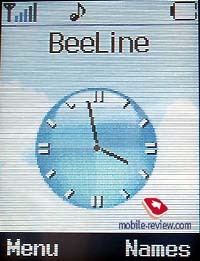 In the reality the phone worked 2.5 days (Beeline network) in case of 30 minutes of talking. The other applications (alarm-clock, organizer and games) were also used (up to 30 minutes). It is a sufficient autonomy for the phone with colour screen. When the battery is running down and the battery status is the lowest, the phone can work about 8-10 hours after that. 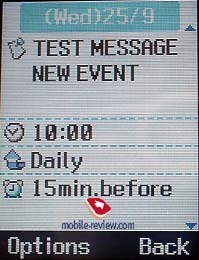 For example, we made two calls (5 minutes each) and created SMS messages (within 15 minutes). The second call was broken off but the phone worked 10 minutes in the standby mode afterwards. The time of full charging is about 2 hours. A standard information and tips to the soft-keys (left - Menu , right - Names) are displayed in the standby mode. When you access to the menu, you understand that the menu interface was changed. 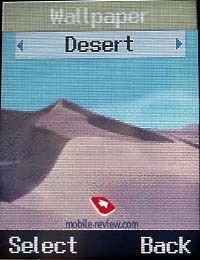 The main menu has 8 submenus, a specific icon is used for each submenu. There is also a vertical menu with bookmarks on the right. 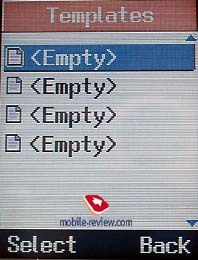 The lists of items are also positioned vertically. All items are numbered and the using of shortcuts is available. Let's view the main features of the handset. Phonebook. The phone can store up to 255 entries, you can add up to 3 phone numbers, one e-mail address and a small note to one entry. It's disappointing that the phone doesn't display the phone type, you can always view only a name and the icon of the caller group (Others by default) while incoming call. There are 6 caller groups on the phone plus the group - Others. 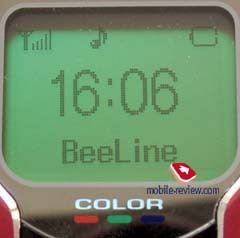 You can associate your ringing tone, LED colour and a special icon to each caller group. Up to 8 phone numbers can be set to the quick dial, and not only the first number, but anyone associated to the Name. The input of the information became very convenient in this model. You can move through the fields as you like. 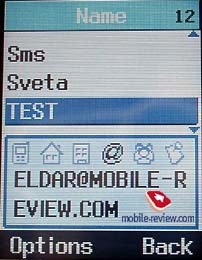 While viewing the entry, you can't view all the phone numbers associated with one contact simultaneously, you see only the first number, to view the other ones use the horizontal arrows. There is also a find option (by name and by location ) in the phonebook. All the phone numbers (from SIM-card and the Phonebook memory) are displayed in the general list. You can copy all the names from the SIM-card memory to the phone memory and vice versa, it's also possible to delete the numbers. Messages. 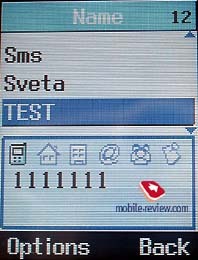 Up to 110 messages can be saved in the phone memory. 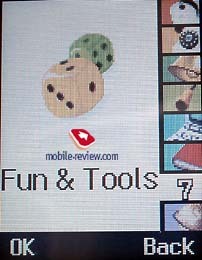 The phone supports EMS standard, what allows to send graphics, animated pictures and sounds. The other capabilities of the phone are traditional. Call lists. 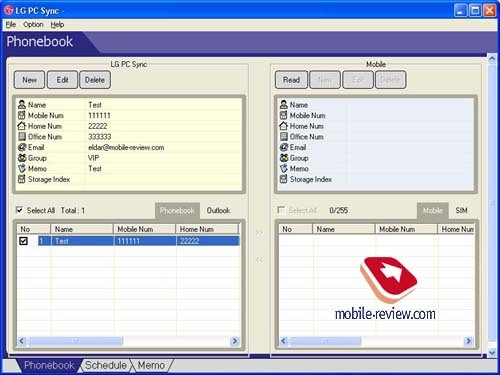 Up to 20 dialed, 20 missed and 20 received phone numbers are kept in the phone memory. You can view the date and the time of each call from the list. Missed calls made from one phone number are summed up in one record and the time of the last call is indicated there. Profiles. Various profiles, which help to personalize the phone are placed here. You can turn them on by pressing the navigation key to the left, when you are in the standby mode. You can change ringing tone, ring volume, vibration alert and other settings in each profile. Settings. The main settings are collected here. The main interesting is the alarm clock, which can be set to work once, daily, weekly or monthly. You can chose one of the 9 screen savers (wallpapers) here, one looks like analogue clock. The other settings are usual. Organizer. The calendar is situated here. A quick access to the desirable date is possible. You can set a reminder to some of the notes. 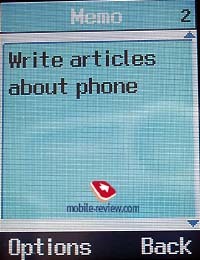 You can also create text notes in the organizer, they are indicated in special menu item. In the whole, the organizer has all necessary features and nothing special. It became more convenient owing to the new menu structure. Entertainment. 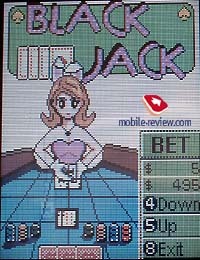 There are two games in the phone: Othello and Blackjack. Arcades are not available. A unit converter, calculator and world time are placed here too. It's also possible to listen to dictaphone records. The dictaphone enables to make up to 3 records (30 minutes each), you can also record something during the talk. A new feature, which we didn't see in the previous models from LG, is an item My folder. All pictures, animations and sounds, downloaded from PC or received via messages are collected here. Internet. Wap-browser in 1.2.1 version, nothing extraordinary. There is a CD with software in the standard kit. In particular, this CD contains PC Sync programm. 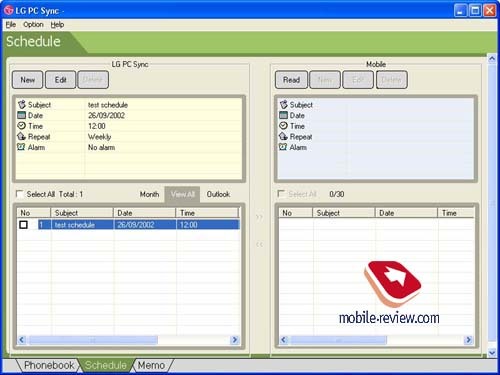 It allows to synchronize all records from the phonebook, organizer and notes with PC. You can connect your phone via USB cable or IP-port to PC. In the latter case your operational system should support a driver for virtual IR-port, otherwise, there will be no connection. For example, Windows XP doesn't have such driver in the standard kit, you need too find it to install the software. In the whole the capabilities of the application are not bad, but unfortunately, with a help of it you can't download ringing tones or images to the phone. The phone has no problems with the connection, the volume of the loud speaker is really good. At the same time, you can hear the polyphonic ringing tone not always outside. The vibrating alert is average, it's difficult to feel the phone, when it lies in a bag or in a pocket of the trousers. Polyphony (40-ones) is also not bad, but as for me, it resembles 16-tones. But judge yourself, you can listen to the examples of the ringing tones here (mp3, 1 MB). The phone has 20 ringing tones, there are also sounds for EMS messages (up to 10). The price of the phone is about 420$, what is typical to the phone of this class. A number of colours is appealing, there are no innovations here, but there are all features, which are necessary to the comfort work. 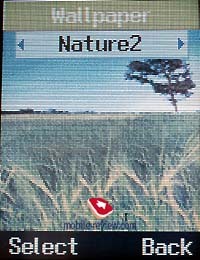 The quality of the screen is inspired, though it shows only 256 colours. As a conclusion I'd like to say that each new phone from LG is better than the previous one from both technical and users points of view. Many shortcomings, which were in the first phones, are disappeared.